Are you shopping for an RV for camping in Southern California? Or are you in search of a new home with wheels? 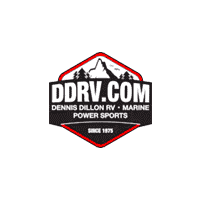 When you shop with Dennis Dillon RV Marine Powersports, you’ve got plenty of options. Currently, we have a total of 180 new Winnebago vehicles for sale at our locations in Boise, ID and Westminster, CA, including Class A, B, and C, as well as fifth wheel and travel trailers. Explore your many options for a new Winnebago RV or camper below, then complete our online credit application to get started. Gray Water Capacity: 25 gal. Black Water Capacity: 25 gal. What Are the Advantages of Buying a New Winnebago for Sale? When you own a Winnebago RV or camper, you’re free to pack up and hit the open the road — no need to worry about booking hotel reservations. If you’re traveling through SoCal, you can pull into one of many RV parks and stay as long as necessary. Full-time RVing is also an excellent option for Salt Lake City, UT and Nampa, ID residents wanting a freer and more affordable way of life. Contact us if you have questions about our new RV inventory or RV specials!